The demand for office space, event centers, and other commercial spaces has increased tremendously in recent years, which has resulted in the construction of commercial and public sector buildings becoming one of the fastest growing factors of our business. 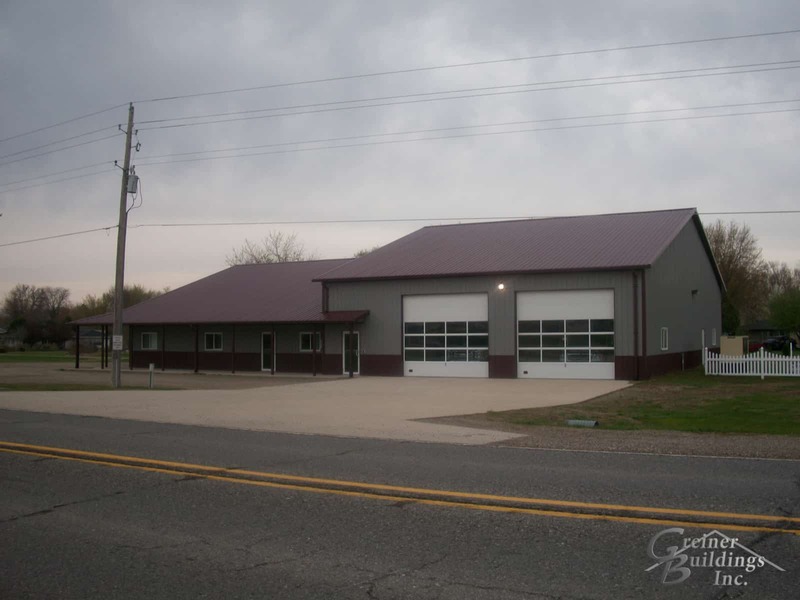 As the leading company for steel frame commercial building needs in Iowa and Illinois Greiner Buildings can provide you with the professional advice, guidance, design, and quality construction that you need for your commercial building. In March 2015, the National Frame Builders Association awarded Greiner Buildings with third place in the commercial and industrial division, as well as first place in both the home residence and agricultural workshop divisions. At Greiner Buildings, we pride ourselves in our diligent and great quality work, and always strive for the best. Our post frame designs have become extremely popular over the years for many reasons. Firstly, the way they are erected provides a very structurally supported frame, as the vertical posts are mounted either onto a foundation or buried in the ground, and the horizontal ones are stationed across the entire structure, giving it immense strength. The poles are made of wood, which, being a renewable resource, is very environmentally friendly. It even removes the carbon dioxide from the air, which greatly contrasts against other materials that actually harm our atmosphere. The pieces of wood that are used to build post frame constructions are rather large, which obviously brings great strength but also requires fewer members of wood, also reducing the building materials and laborers. This type of construction will reduce your labor costs, as well as your supply costs because wood is less expensive than other materials such as brick and steel. Another advantage to post frame construction are the options of expansion and creativity that it gives you. A post frame building allows for easy and versatile construction after the frame is built. The frame can be assembled rather fast, especially by our experienced workers at Greiner Buildings. Certain features can easily be added afterward, such as extra doors, windows, decks, porches, and other extensions to your building. We hope that you choose to work with Greiner Buildings to build your commercial or public sector building and office space. We specialize in custom design that suits your needs with quality workmanship that you can trust.